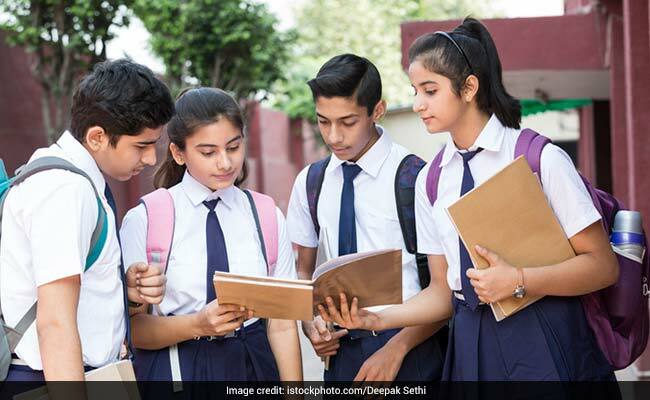 CBSE class 10 Hindi exam concluded today. The question paper was not a difficult one. Some questions were tricky but all in all it was an average level paper. Most of the question were direct and any student who had studied the entire syllabus would have found the questions easy to solve. Some questions, however, were not error free. We spoke to Anita Agarwal, Vimmi Ahuja and Manisha Tripathi, all TGT Hindi at Army Public School, Delhi Cantt. about their insight on today’s Hindi question paper and they said that the paper was a combination of tricky and easy questions and thus it was not a difficult paper. Part ‘A’ comprehension section of prose and poetry was not much difficult and students were comfortable with questions. There were some mistakes in some sets. For example in Set 1 question number 6 no choice was given even though the instruction was given to solve any 4. In question number 14, the formation of sentence was incorrect. In set 2, question number 11 (or part) the poetry Punch line was incorrect. In set 2 and 3 in question number 14 one letter was informal (out of syllabus) when both the letter should be formal. In this case for 5 marker question students had no choice. In part D, creative writing skills such as paragraph writing, formal letter , notice , Dialogue writing and advertisement board had chosen the relevant topics such as environment conservation , swachchh Bharat , Tree plantation , Internet and women empowerment to check and assess the writing capabilities of the students. Students with fine writing capabilities may sure get more than 80%. Average student may get 60 to 70% marks. As per students, Set 1 and 2 were a bit difficult in comparison to set 3. Part C (question answer portion) had 2-3 questions to assess narrative skills and other 7-8 questions were designed to check the writing and critical analysis based writing. In poetry section no question was given from chapter 1 in any of the sets. Students were offered more options in question answers section. Almost all the lessons were covered this year whereas it was not so in previous year’s question papers. The consensus is that overall the question paper was an average and moderate one.